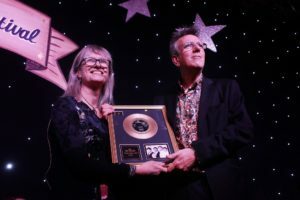 The Award recognises and celebrates the achievements of those who have shown an outstanding contribution to the administrative areas of the music publishing industry. The Tony Pool Award was created to recognise and applaud all those individuals that work in the “back office” areas of royalties, copyright, business affairs, finance, HR and IT for music publishers. While not in the spotlight, music publishing depends on this backbone to deliver its £505 million contribution to the UK economy. The award is in memory of the late Tony Pool who died in 2016. Tony spent most of his working life with Boosey & Hawkes, eventually becoming Head of Business Affairs. He was a firm advocate of copyright reform and made a significant contribution to political discussions in the UK and in Europe. He also paved the way for the creation of British Music Rights. As Tony was a fierce supporter of the “engine room” teams that keep publishers going, the MPA feels that this is award is a fitting way to honour his legacy. Nominees should display an outstanding work ethic and dedication to the music publishing industry either through their achievements, a particular project or overall business impact. Nominees should be actively working in administration for a music publisher. 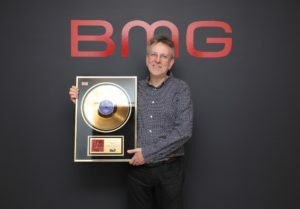 Andy Godfrey, Vice President, Copyright at BMG has presented the inaugural Tony Pool award at the 59th annual MPA Christmas Lunch on Thursday 13th December. Andy has displayed an outstanding work ethic and dedication to the music publishing industry at the various companies he has worked for over the past few decades. He has ensured millions of works are registered, contracts are checked and details entered correctly, he’s an expert in copyright infringements. sample clearances and monitors BMG’s acquisitions & sub-publishing networks. You can read more about Andy here.